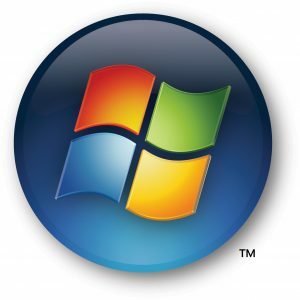 Microsoft Windows is still one of the world’s most popular operating systems and has been so for a couple of decades now. When such a large proportion of the planet’s population uses Windows to access the internet, it makes sense for the best Virtual Private Network, or VPN, providers to make their services Windows-friendly. If you’re looking to install a VPN on a Windows computer, what should you be looking for in a VPN provider? Why Choose a Windows-based VPN? A Virtual Private Network for Windows has a number of advantages that make it the perfect choice for users who don’t want to fuss about with installing their service but would still like to be sure it’s working well to secure their data and keep your internet browsing secure and anonymous. Windows VPN is capable of supporting all the most popular networking protocols available, for example, which means you can run the protocol of your choice. As certain firewalls are able to prevent access for certain protocols, this leaves your choices open when it comes to browsing the sites you’re most interested in. Windows VPN has other advantages, too. You won’t need to install any plug-ins while setting your VPN up because, unlike with most other VPN options, they are all already available as a feature of your operating system. All you will need to do is connect your Virtual Private Network to one of the installed protocols and you’re good to go. It’s also a more secure option than most of its competitors, because Windows VPN takes advantage of the many security functions within the operating system, such as its inbuilt firewall. Windows VPN also utilizes the most up-to-date encryption and authentication protocols. Not to mention the cost advantages: with Windows VPN, there’s no need to purchase extra hardware such as adapters and routers before you can switch your network on. Getting started with VPN for Windows takes just the click of a few buttons in the Network & Sharing Center. Simply set up a new connection or network in your network settings, follow the inbuilt wizard to connect to a workplace and select “Use my Internet Connection” to input the relevant details of your VPN package, including the domain name of your VPN server in “Internet Address”. Before you can do that, of course, you’ll need to choose a VPN service. Comparison tables are an excellent place to start because they will tell you more than just whether the VPN you’re interested in is compatible with Windows. You can also check how secure the provider is, what customer support it offers and where its servers are located. You’ll find our comparison charts below, to get you started.